Will William&#39;s Grave Site Ever Be Found? Will William's Grave Site Ever Be Found? Have you revisited the research trips you took and the things you left undone? Four years ago, I took a trip to Columbus, Ohio to visit cemeteries, especially Green Lawn Cemetery. Green Lawn Cemetery in massive and is said to be the fifth largest in Ohio. At the time, was on the hunt for a collateral relative in Selection L. At the time, I couldn't find him. My mission was to find the grave site of my great grandfather Andrew Nelson SMITH's second wife Marietta Webb SMITH's father. English immigrant William WEBB (1816-1905) is buried in Section L, while Andrew and Marietta Smith are buried on his ancestral plot in Section 35. In the past, I would have had to pay $3 per name for the information about individuals in buried in the cemetery. Regularly, I receive more information than I originally asked for no charge. I'm really loving the staff member there today. Yet, I still have not seen a stone or at least a plot photograph for William Webb. Once again I placed a that others on FindAGrave would want them. At the time, the Green Lawn staff wasn't so accommodating with look-ups. I had prepared in advance to know each plot I wanted to visit so that I didn't have to get involved with the staff. When I had great difficulty finding William's stone, or even determining if I was standing on his plot at all, even without a stone, I was so confused. I left so disappointedly. Since then, I've found the Green Lawn Cemetery staff worker handing the genealogical side of things to be tremendously helpful. The photo request for William Webb in Section L. Perhaps someone will be able to stand where he's buried to photograph the site, stone or no. Whew! This summer has been a wild ride for my family. In actuality, it started in October 2013 when his company announced plans to reorganize his engineering group. 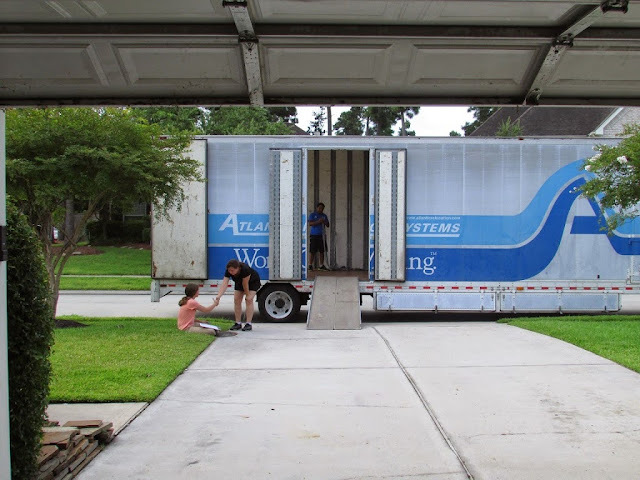 It ended at the end of July with us moving back to my home state of Texas. Furthermore, I'm 1 hour away from my hometown of Sugar Land, TX. For those who know anything about Houston, we're in the Northeast side now. So, I'm truly back home, just on the other side of town. In addition to the relocation, I have exciting news. My church leaders have requested that I serve our congregation as a Family History Consultant. How cool is that? I have even more of an excuse to teach and inspire others to do their own family history. So far, this new responsibility has allowed me to take a peek at another person's tree using the FamilySearch.org helper feature. It's pretty cool. I'm so tempted to 'fix' their tree but a wise consultant knows it's better to teach them to do. Hooray! Someone found Ida's gravestone. Ida Jane Townsend is the daughter of William Townsend and Mary Claybaugh (or Clabaugh) of Franklin County, Ohio. William is the focus of my One Name Place study and I wrote about Ida not being in the family home in the 1880 US census. She was in the home of Edward and his wife Louisa who I believe to be her father's brother and sister-in-law. Ida married Lawrence (or Loren) Sandborn in 1885 and she lived in Columbus, Ohio for the remainder of her life. She had 5 children with Lawrence Sanborn before he is believed to have died around 1907 (if not earlier, a date is unknown at this time). She lived until 1941. I'm looking for information on Christian Christopher Hoppe Sr and Anna Margaretha Kalsberger as well as their children. My genealogical connection is they are my third great-grandparents through their daughter Marguerita Magdalena Hoppe. Maggie Hoppe was close to her siblings but they died in their early adult years. I have some vital and census information about Christoph Hoppe and Anna Margreta (who had been referrened to as Margareta Culp before). I would really like to learn more about their lives, which is why I'm casting this fishing line. How Many Ways Can You Spell Pusecker?